I cannot stress enough how important it is to maintain proper form when rowing. Rowing is meant to improve your health and not hurt your body, but if your form is bad you risk serious injury to your body and that will defeat the purpose of rowing in the first place. People who know that I row ask all the time about the proper rowing form and stroke technique. I have outlined them in this article but if after reading it you are still unsure, please seek out a rowing professional who can show you how to row correctly. 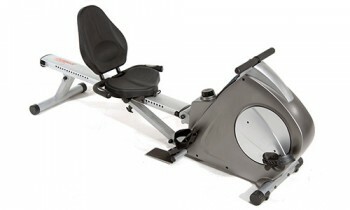 It is not worth risking damage to your back or any other part of your body by attempting to row in the wrong position. 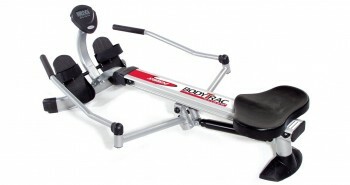 When you sit on the rower, the first thing you should do is secure your feet in the footrests. If the footrests are adjustable you should adjust them to fit your feet. 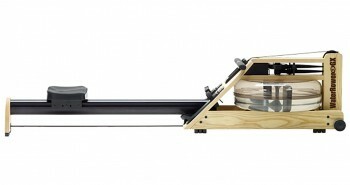 Most rowers have straps on the footrests to help you hold your feet in place. Make sure that the straps are nice and tight without hurting your feet. Your back should be straight and in line with your pelvis, and your chest should be up. Keep your core tight and engaged. Grab the handlebar with a loose grip (be sure to use your thumbs). Your elbows should be close to your body and not sticking outward. 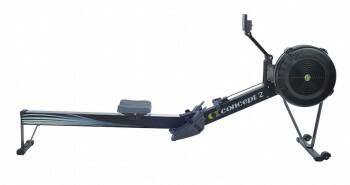 The proper rowing stroke technique has four basic positions: the catch, the drive, the finish and the recovery. Learning and using these four positions correctly will not only reduce the risk of injury while you row, it will help you to get the most out of your workout. Let’s have a look at each position and the proper form your body should be in for each one. You will start your rowing exercise in the catch position. In this position your arms should be straight out in front of you at a slightly downward angle toward the flywheel. Your shoulders should be high and your seat should be just a little behind your shoulders. You should lean forward just a little with your knees bent so that your shins are vertical. Your heels should be just a little off the footrests. The drive is where you push your legs down and use them to push your body back along the rail. Your arms and back should be straight and your core tight as you extend your legs. Once you get to the end of the rail you should lean your torso back just a little then pull the handlebar to just under your chest and finish the stroke by pulling the handlebar down towards your core. At the end of the drive is the finish. In this position your legs should be fully extended and you should lean back slightly from your hips. As you pull on the handlebar, your elbows should be tucked in and close to your body (but not too close) with the handlebar against your core and you should squeeze your shoulder blades toward each other at the back. For the recovery, you should first extend your arms outward, straight in front of you and toward the flywheel while slightly leaning your upper body forward. Keep your back straight and you core tight. You should then slide the seat forward, bending your knees in the process, and return to the ‘catch’ position. I know that reading these descriptions of the proper rowing form and stroke technique may be a little intimidating at first, but trust me, once you get the hang of it, it is pretty easy. 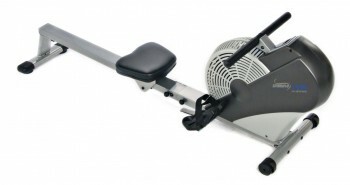 It is important that you learn how to row properly, however, so don’t think that you can get away with just jumping on a rower and just start pulling at the handle. The good news is that it doesn’t take very long to master proper rowing form and once you do, you will discover how enjoyable and effective an exercise rowing can be.